Born the son of a railroad conductor in New Jersey in 1885, the famed jeweller Raymond Yard began his career aged 13 when William Marcus Elder, the owner of the exclusive jeweller’s Marcus & Co., offered him the job of errand boy at his Manhattan boutique. Over the course of 20 years’ service Yard rose to become the firm’s most sought-after salesman, renowned for his honesty and knowledge. Eventually John D. Rockefeller Jr. — one of the world’s wealthiest men at the time — advised Yard to go it alone, and in 1922 he opened his first store on Fifth Avenue. He served more than 1,000 customers in his first year, and four years later moved to larger premises on the same street. ‘Through Rockefeller’s connections, Yard was introduced to some of the wealthiest people in America. The Vanderbilts, the DuPonts and the Woolworths all admired his jewels,’ explains Christie’s Jewellery specialist Jacqueline DiSante. Over the decades Yard’s reputation continued to rise as he secured commissions from Hollywood stars such as Joan Crawford and Douglas Fairbanks. He retired in 1958, passing control of the company to Glen McQuaker, Donald Bartow and Robert Gibson. In 1989 Gibson passed the firm on to his son, who still runs the business from Connecticut today. Raymond Yard passed away at his home in Larchmont, New York in 1996. What is Raymond Yard best known for? Yard’s earliest work took Art Deco designs to new heights. ‘By carefully selecting geometric-cut coloured stones in combination with step and brilliant-cut diamonds, he could create bold and unique arrangements that spoke to the tastemakers of the 1920s and ’30s,’ DiSante continues. Yard was also known for breathing life into old gems by repurposing them from old settings into new ones. During the war resources were limited, and Yard adapted his designs to incorporate gold and white gold, as opposed to platinum. Yard also started working with semi-precious stones and new colour combinations. Today, under Bob Gibson’s leadership, the company has preserved the classic Yard look by reviving and reinterpreting designs from its extensive archives. ‘Top-quality pieces by Yard are scarce on the secondary market,’ explains DiSante. This is chiefly because Yard worked so closely on perfecting every piece of jewellery that left his atelier. His archival log books show that he meticulously documented every stone’s type, weight and origin. In 2017 Christie’s sold a Raymond Yard ring commissioned in 1948 by David Rockefeller, John D. Rockefeller’s son. At its centre is a stunning 18.04 carat Colombian emerald taken from a brooch that belonged to David’s mother, Abby Aldrich Rockefeller. The ring realised $5,511,500, which remains the highest price paid for a piece of Raymond Yard jewellery at Christie’s. At $305,000 per carat, it also set a world auction record price per carat for an emerald. ‘This ring is the epitome of chic and demonstrates both the Rockefellers’ and Yard’s keen eye for quality,’ adds DiSante. 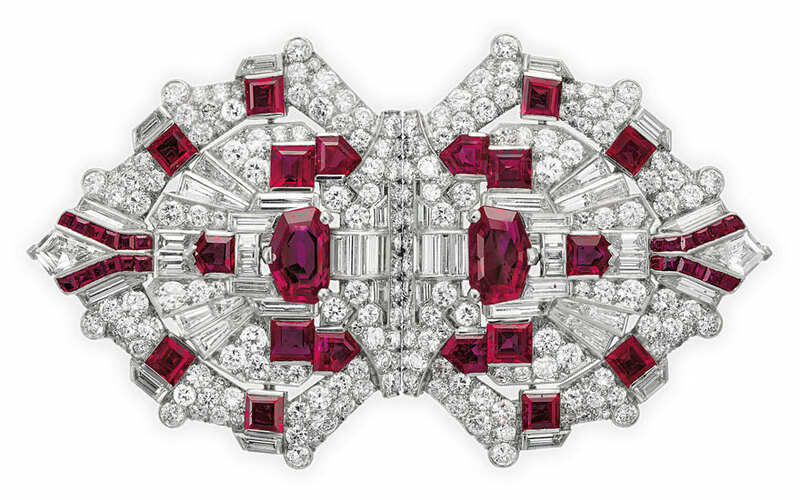 In 2018 a ruby and diamond Art Deco bracelet by Raymond Yard, which was also owned by the Rockefeller family, fetched $348,500 at Christie’s — almost nine times its low estimate. ‘The most sought-after pieces remain those that are classically ‘Yard’, and have a quiet elegance to them,’ says DiSante. Christie’s has sold several of the celebrated rabbits over the years, each fetching several tens of thousands of dollars.